When it comes to your biggest investment you want to make sure it not only maintains its looks, but also its structural integrity—all of which will have an effect on its long-term value. With our expertise and years of experience we can help guide you through the important choices to ensure you have a quality job you are satisfied with and one that will protect your investment for years to come. Apart from curb appeal or appearance alone, it is vital that the house is kept well protected from the weather and especially the rain. Vancouver is a city reclaimed from a rainforest and so we get a lot of rain. Nature was here before we were so no point trying to argue about it. Paint is a layer of water-repellent protection, like a raincoat between the rain and the wood, stucco or other wall surface your house is made of. Worse a layer of failing paint (cracked, chipped or flaking) is possibly worse than no paint at all because the failing paint can actually trap moisture against the wall and that leads to rot. In our climate outside paint should last 6 to 8 years but that doesn’t mean we can ignore all maintenance during that time. 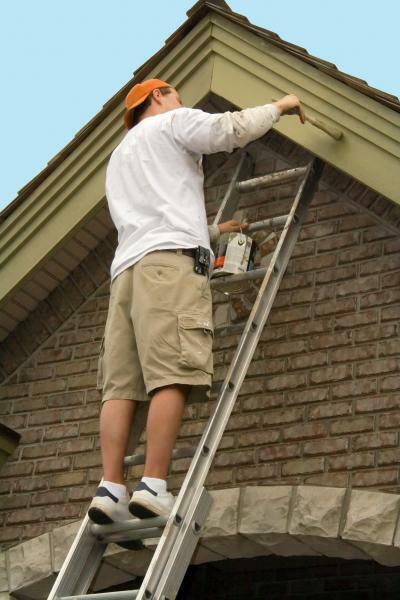 We advise our clients to call us every 2-3 years for some touch up work where we can replace any paint that is failing. Not only do we live in a rainforest but also a seismic fault line, meaning the ground occasionally shifts beneath our feet. That means your house is subject to vibrations that produce small cracks in the paint. Every time your garage door opens and closes, you slam a door or window, or a big truck goes by is another shockwave that runs through the house. And over time these make the paint fail. The solution is good prep and painting but on-going maintenance is just as important. In fact a great paint job will last a long time IF regular inspections and touch up are done. Interior painting is much less serious than outside work. Your house won’t fall down because you didn’t paint the living room. But it is equally true that nothing makes a bigger difference than painting when you want to update your home and make it into a cozy, inviting space you are proud of. The beauty of painting is that it is so easy to change! 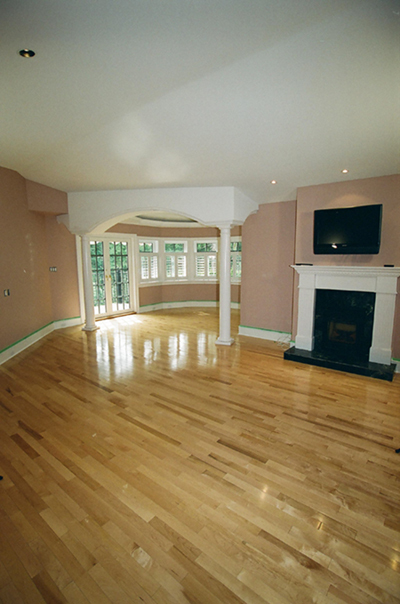 If styles changes, your tastes change, you get new furniture or floors it is not much money to just repaint over the old paint. And painting is so environmentally friendly. The old paint stays on the wall. It doesn’t go to the landfill as we paint right over it. The new paint all goes on the walls and any left over in the last can is yours for future touch up. Thanks to strict new laws on paint formulas today’s paint is water-based, safe to clean up and does not give off clouds of toxic fumes. It is relatively odourless today. We're interested in making you a client for life by being a part of your overall plan for maintaining and protecting your biggest investment, your home!